Customizing ringtones is a great way to personalize your Windows Phone and it’s the latest in our series of Windows Phone 7 Tips and Tricks. Setting ringtones for specific functions or people can also prove to be useful and a time saver. It will also let you know when your boss is calling, so you can safely ignore your phone, although we’re not sure we can recommend this. Okay, lets get started. There is always one ringtone to rule them all and that’s your default. This will be what you hear for any callers that do not have any personalization. When you have found one you like, simply press on the name of the ringtone. It will become highlighted. Note: It’s not currently possible to create customized ringtones to add to this list of thirty. Although it hasn’t been announced officially, there are rumors that customized ringtones will be coming to Windows Phone with the Mango release this fall. 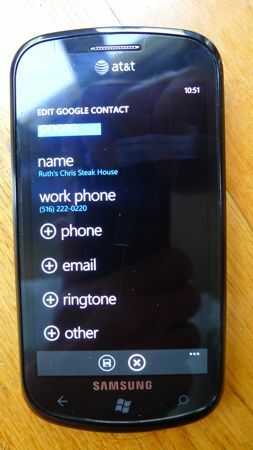 By creating personalized ringtones for contacts, the ringtone is an audible notice to alert you as to who is calling. Here’s how to set up personalized ringtones on your Windows Phone. Select the contact. 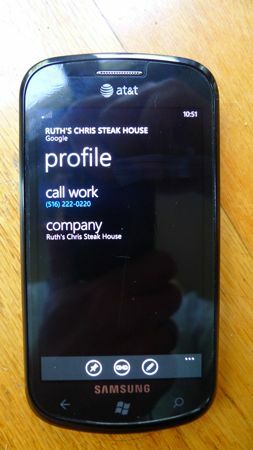 In this example, I’m selecting Ruth’s Chris Steakhouse, even though I’m not expecting a call from them anytime soon. Press the name of the ringtone you would prefer and it should now be highlighed. That’s it, you’ve just personalized a ringtone for one of your contacts. 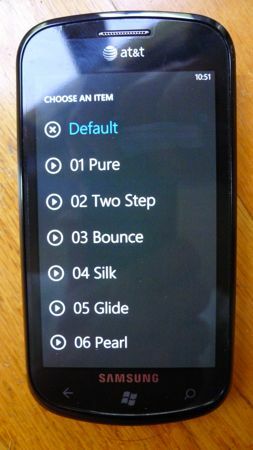 You can repeate this step to create ringtones for any of the folks in your People hub. This was a stupid waste of time, I’ll just wait until mango comes out and really personalize my stuff with real music! The process will likely remain the same in Mango. The difference being the ability to sync ringtones from Zune software.